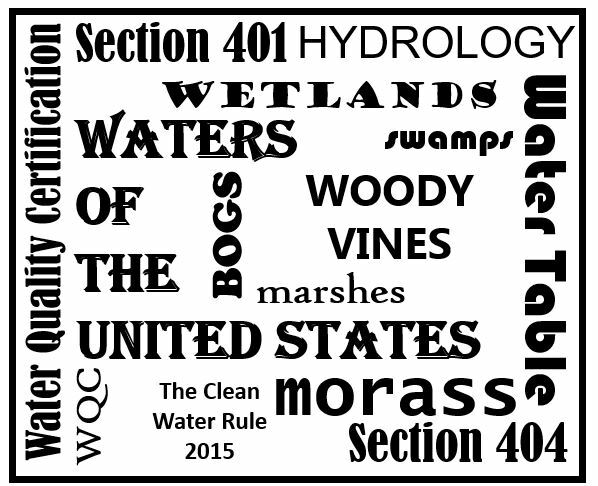 ​Since I have turned my attention these last couple of months to the details of the recently released Clean Water Rule*, this second posting will contain some of the new definitions of terms as put forth in 33 CFR Part 328, “Clean Water Rule: Definition of Waters of the United States”. *Currently, the Clean Water Rule is not being implemented because of a nationwide stay as dictated by the U.S. Court of Appeals for the Sixth Circuit. The U.S. Court of Appeals for the 6th Circuit consolidated the challenges of the 18 states that were brought up in the district courts. UPDATE: November 4, 2015, the Senate passed without amendment Senate Joint Resolution 22 which provides for congressional disapproval of the Clean Water Rule as submitted by the Corps of Engineers and Environmental Protection Agency. The resolution is now in the House of Representatives, eventually to move onto President Obama. As with most fields, terminology is used with specific meanings and implications to assist those in the field to communicate more accurately with each other. 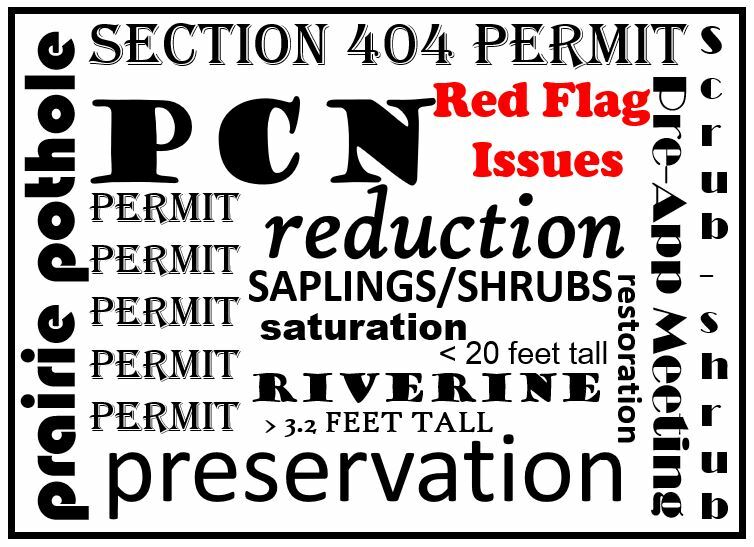 Some of the technical terms and definitions that I deal with in the arena of environmental consulting come from areas of biology, hydrology, botany, soils science, and as importantly, the regulatory terms used by the U.S. Corps of Engineers and legal definitions as described in the environmental regulations (written by the Environmental Protection Agency and U.S. Corps of Engineers). ​This first posting will contain common acronyms and a few terms. Not all acronyms are used frequently in each region of the U.S., so never be afraid to ask for clarification. Aggrading – accumulating sediment or deposition; in reference to streambeds. Alternative Site – In the avoidance step of mitigation, a possible location for a project where less damage will be done to the environment than if the primary project location is used. Anaerobic – Pertaining to the absence of molecular oxygen in the environment. Avoidance – “Not discharging into the waters of the United States or discharging into an alternative aquatic site with potentially less damaging consequences” (40 CFR 230.5(c)). Chroma – “The relative purity, strength, or saturation of a color”; one of the three parameters used to define colors in the Munsell color system, the other two being hue and value. (Soil Science Society of America 1987). Compensatory mitigation – Activities that compensate for loss of wetland functions at one location by replacing them at another location (Mitigation MOA II.C.3). 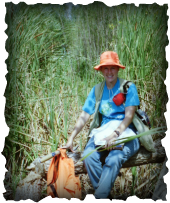 1987 Corps Manual – Wetland delineation manual used by the Corps (Environmental Laboratory 1987); currently more recent Regional Supplements to this manual are used for wetland delineations in the U.S.